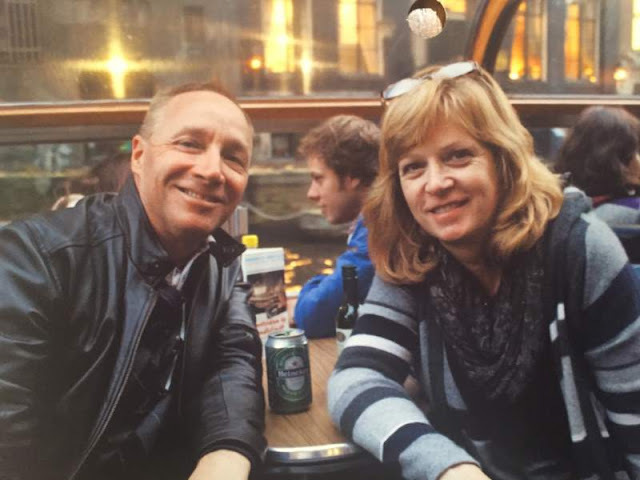 Husband and wife, Mark Stephan Richard and Brenda Jane (Fauss) Richard of Santa Rosa, California, passed away on April 17th, 2017 when their Socata TB-20 Trinidad went down in the Sierra Nevada Mountains near Truckee, California. On April 17, 2017, about 1610 Pacific daylight time, a Socata TB-20 Trinidad airplane, N28070, was destroyed during impact with remote mountainous tree-covered terrain while maneuvering about 5.5 nautical miles (nm) southwest of Sierraville, California. The noninstrument-rated private pilot and the passenger were fatally injured. The airplane was registered to the pilot and another individual and was being operated by the pilot under the provisions of Title 14 Code of Federal Regulations Part 91. Instrument meteorological conditions (IMC) prevailed in the area at the time of the accident, and a flight plan was not filed for the personal cross-country flight. The flight originated from Truckee-Tahoe Airport (TRK), Truckee, California, about 1550, and was destined for Petaluma Airport (O69), Petaluma, California. In a written statement provided to the National Transportation Safety Board (NTSB) investigator-in-charge (IIC), the co-owner of the airplane reported that he had flown with the pilot from TRK to O69 on three occasions. On departure, they had climbed to the north toward Sierraville, then turned left (west) on a direct track toward O69, a route that took them over a valley and between mountain peaks. The co-owner further reported that on the day before the accident, he received a text message from the pilot that read, "…tomorrow is looking iffy on getting out," followed by, "…I think I'll have a window or two to get out." On the day of the accident during the morning, the pilot called the co-owner during which the pilot asked his opinion as to whether she could climb through the overcast and fly home under visual flight rules (VFR) on top; the co-owner told the pilot not to try it. Additionally, the co-owner suggested staying overnight; however, the pilot did not want to do that. The pilot then asked him if he thought the weather was likely to improve, and he advised her to call the aviation weather briefing service. In a telephone interview with the IIC, the TRK airport operations manager stated that, as the pilot was taxiing out for takeoff, he heard her make normal before-takeoff radio transmissions. The manager also mentioned that about the time the airplane departed, there were significant cloud buildups to the west of the airport, which would have been directly in line with the pilot's route to O69. The pilot subsequently departed to the north where higher cloud bases existed. The airplane departed TRK about 1549. Radar track data revealed that at 1556:25, about 7 minutes after departing TRK, the airplane was about 13 nm north of TRK, with a groundspeed of 142 knots (kts). At an unknown time, the airplane began to track west. Radar contact was lost for about 9 minutes, and when it was regained, at 1605:25, the airplane was observed about 13 nm west of the last radar return. At 1605:37, the airplane made a left turn to a southwest heading of 227°, at a groundspeed of 80 kts. About 36 seconds later the flight was proceeding southwest at a groundspeed of 98 kts. The airplane was then observed to turn right about 11°, and about 36 seconds later, at 1506:49, it was on a heading of 232°, and at a groundspeed of 97 kts. About 24 seconds later, at 1507:13, the flight had turned right to a heading of 236° and was at a groundspeed of 82 kts. It continued this heading for about 1 nm. About 48 seconds later, at 1608:01, the airplane was observed on a heading of 226° and at a groundspeed of 74 kts. The last radar return, which was at 1608:13, revealed that the airplane had turned left to a heading of 209°, and was at a groundspeed of 65 kts. At this time, the airplane was located about .47 nm southeast of the accident site. The airplane did not arrive at O69, and, at 2037, the co-owner of the airplane became concerned and notified the FAA. 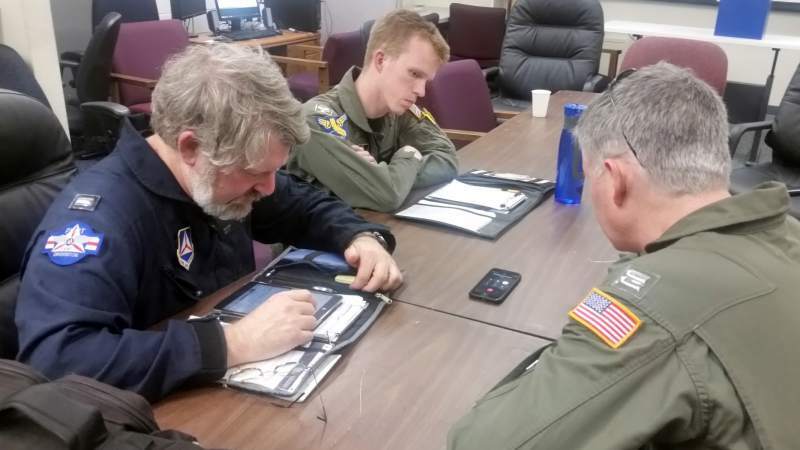 The Oakland Air Route Traffic Control Center then issued an alert notice (ALNOT), and search and rescue (SAR) operations commenced the following morning. 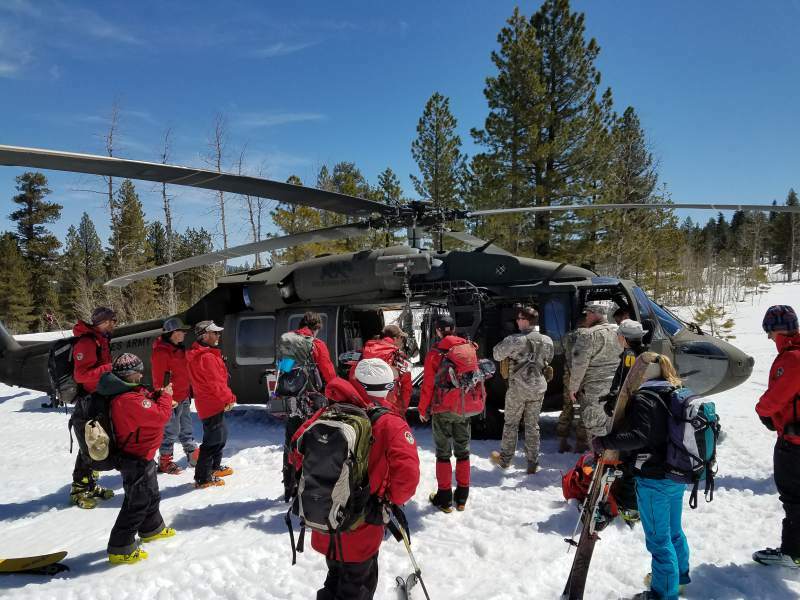 However, due to inclement weather, which included heavy snowfall throughout the search area, SAR operations were suspended on April 23. 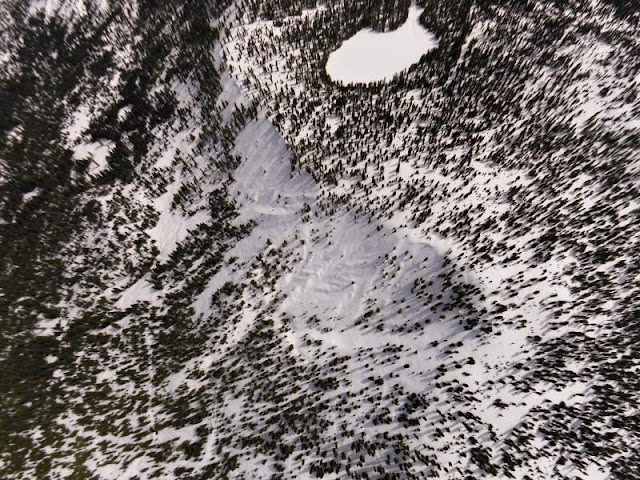 The airplane was subsequently located on May 17 in remote mountainous terrain. 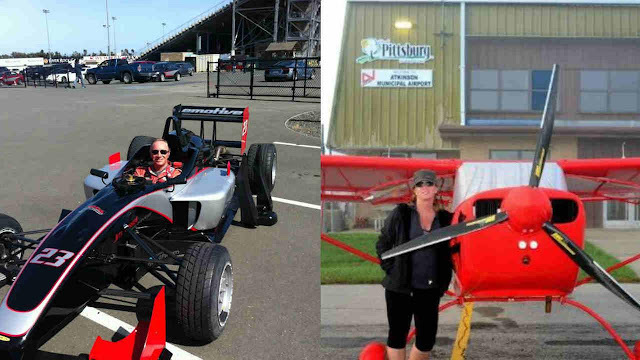 The pilot held a private pilot certificate with a single-engine land airplane rating. The pilot did not hold an instrument rating. She was issued a third-class FAA medical certificate on March 27, 2017, with the limitation "must have available glasses for near vision." A review of the pilot's logbook revealed that she had accumulated a total of 191.8 hours of flight experience as of April 5, 2017, which was the date of the last logbook entry. Additionally, the pilot had logged 99.8 hours as pilot-in-command, 7 hours of cross-country flight time, 4.6 hours of night flight time, and 37.3 hours of flight time in the same make and model as the accident airplane. Further, the pilot's logbook revealed that she had flown 33.2 hours, 23.8 hours, and 4.6 hours within the preceding 90 days, 60 days, and 30 days preceding the date of the accident. The pilot satisfactorily completed her most recent flight review on November 18, 2015. The four-seat, low-wing, tricycle, retractable-landing-gear airplane, serial number 1082, was manufactured in 1990. It was powered by a Lycoming IO-540 series, 250-horsepower engine, and equipped with a Hartzell HC-C3YR-1RF/7693FB, 3-blade, constant-speed propeller. A review of airplane maintenance records revealed that the most recent annual inspection was completed on January 1, 2017, at a tachometer time of 3,103.2 hours and a time since engine major overhaul of 1,390.5 hours. The tachometer reading at the time of the accident was 3,131.6 hours. The airplane had accumulated a total of 28.4 hours since its most recent annual inspection. The National Weather Service (NWS) Surface Analysis Chart for 1700 showed the majority of station models in northern California and northwestern Nevada reporting overcast skies, with one station model near the accident site reporting light rain. WSR-88D2 Level-II weather radar imagery from Reno, Nevada, located about 48 miles east-northeast of the accident site, identified light reflectivity values in the area of the accident site between about 9,600 ft msl and 14,400 ft msl. A vertical cross section of the KGRX radar imagery for the immediate area of the accident location depicted very light values of reflectivity up to about 22,000 ft msl to 23,000 ft msl above the accident location. Advanced Very-High-Resolution Radiometer (AVHRR) and infrared data depicted cloudy skies over the area of the accident site. At 1450, the automated weather observing station at TRK, located about 20 miles southeast of the accident site at an elevation of 5,901 ft msl, reported wind from 190° at 10 knots with gusts to 14 knots, prevailing visibility 6 to 10 statute miles or greater, ceiling broken at 3,400 ft agl, overcast cloud base at 4,200 ft agl, temperature of 8°C, dew point temperature of 4°C, and altimeter setting of 30.06 inches of mercury. At 1645, TRK reported wind from 190° at 5 knots, prevailing visibility of 10 statute miles or greater, ceiling broken at 2,600 ft agl, overcast cloud base at 3,900 ft agl, temperature of 7°C, dew point temperature of 4°C, and altimeter setting of 30.07 inches of mercury. A terminal aerodrome forecasts issued at 1040 for TRK forecasted for the accident time: wind from 220° at 13 knots with gusts to 24 knots, prevailing visibility greater than 6 statute miles, light rain showers, few clouds at 2,500 ft agl, and ceiling broken at 4,000 ft agl. An area forecast that included the region of northern California (north of a Santa Rosa-Sacramento-South Lake Tahoe line) was issued at 1245 by the Aviation Weather Center (AWC) in Kansas City, Missouri. The portion of the area forecast directed toward the northern Sierra Nevada range and valid for the accident time indicated broken clouds at 9,000 ft msl with clouds layered to flight level (FL)250 and scattered light rain showers. At 1345, an AIRMET SIERRA was issued for mountain obscuration. At 1345, an AIRMET ZULU was issued for moderate icing between the freezing level and FL220. At 1345, two AIRMET TANGOs were issued for moderate turbulence between FL220 and FL390 and moderate turbulence below FL180. For further information, see the weather study in the public docket for this report. The co-owner of the accident airplane stated that when he called the FAA's Oakland Operations Watch Desk at 2037, he was informed that the pilot had called in for a weather briefing at 1400. However, during the investigation, attempts to retrieve a transcription of the briefing that the weather briefer provided the pilot were unsuccessful. 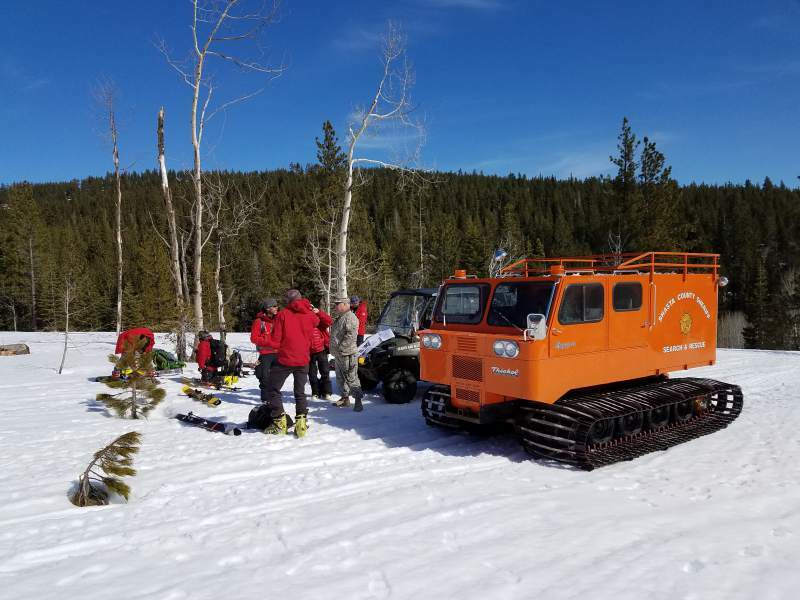 An onsite examination revealed that the airplane came to rest on the rising face of a mountain about 20 nm northwest of TRK at an elevation of 7,697 ft msl. The initial impact point (IIP) was identified by a broken tree branch, right wing fragments, and a green position light. Several broken tree branches were located about 15 ft beyond the IIP around the base of an approximate 70-ft-tall tree; the tree displayed a large impact scar. About 5-inch-long striations were observed along the left side of an impact scar, oriented in a 45° downward angle. Additionally, fragments of airframe skin were embedded in a second tree, about 42-ft tall, which comprised the beginning of the main wreckage site. The wreckage debris path, which was estimated to be about 20 ft in length, was oriented on a northerly heading. All major components of the airplane were accounted for at the accident site. The right wing spar and portions of the right wing skins were found at the base of the scarred tree. The spar was broken outboard beyond the fuel tank sight gage, and the wing flap was separated about midspan. The right aileron, which had separated from the wing, was co-located with the empennage. The left wing was intact with the exception of its wingtip, which had separated. The left wing leading edge displayed aft crushing. The left wing flap was intact and remained attached to the left wing. The wing spar was broken inboard, and the left main landing gear was in the retracted position. The aileron was co-located with the left wing. The vertical stabilizer and rudder were found at the base of the scarred tree, the only tree that was scarred during the impact sequence. The upper vertical stabilizer had separated from the spar but was co-located with the rest of the airfoil at the base of the scarred tree. A large concave depression was found in both the rudder and lower vertical stabilizer that matched the large impact scar on the tree. The horizontal stabilizer was intact and attached to the tailcone and part of the aft fuselage. A small concave depression was found about midspan on the leading edge of the right horizontal stabilizer. The cabin, forward fuselage, and engine compartment were located beneath several feet of snow. The engine instrument panel was located. However, individual instrument readings could not be determined due to postimpact damage. The engine was buried in deep snow at the base of the impacted tree. The propeller remained attached to the engine. All 3 propeller blades were impact damaged and remained attached to their respective hubs. Two of the blades remained relatively straight, and one blade was bent aft almost 90°. The postaccident examination of the airplane and engine did not reveal any evidence of preimpact mechanical failures or malfunctions that would have precluded normal operation. The Office of the Sheriff-Coroner, Sierra County, Downieville, California, performed an autopsy on the pilot. The examination revealed that the cause of death was massive blunt force trauma. The FAA's Bioaeronautical Sciences Research Laboratory, Oklahoma City, Oklahoma, performed toxicology tests on the pilot. According to the toxicology report, 11 (mg/dL, mg/hg) ethanol was detected in muscle, no ethanol was detected in brain, and ibuprofen detected in liver. Carbon monoxide and cyanide tests were not performed. The detection of alcohol in muscle but not in brain was consistent with postmortem production. Ibuprofen is an over-the-counter medication used for treating pain, fever, and inflammation; it is not generally considered to be impairing. Five electronic devices were sent to the NTSB Vehicle Recorder lab, but no data were able to be recovered due to damage or lack of a passcode. 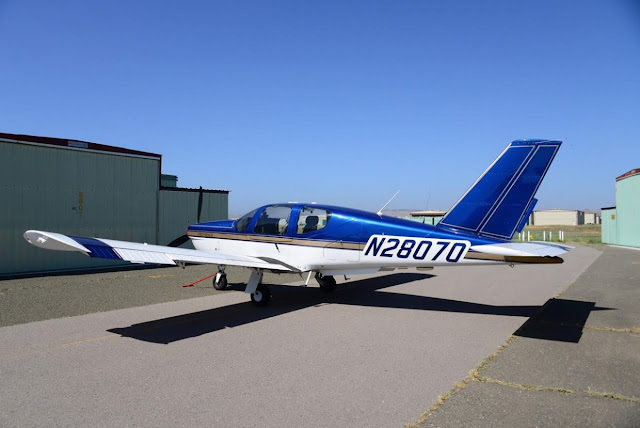 On April 17, 2017, about 1600 Pacific daylight time, a Socata TB-20 Trinidad, N28070, departed Truckee-Tahoe Airport (TRK), Truckee, California. Since that time, the private pilot and one passenger have not been located, and the airplane is missing. Radar track data was lost when the airplane was about 16 nautical miles north of TRK, and is presumed to have crashed in remote mountainous terrain. The personal cross-country flight was being operated under the provisions of 14 Code of Federal Regulator Part 91. There was no record that the pilot had filed a flight plan. TRK airport operations personnel reported that about the time the airplane departed, lowering cloud bases were observed west of the airport, which would have been the direction of flight en route to O69. However, the pilot elected to depart to the north in an area where higher cloud bases existed. Search and rescue efforts commenced the morning following the disappearance of the airplane, April 18th, and were subsequently suspended during the evening of April 23rd. To date the airplane has not been located, and an emergency locator signal has not been reported.